In kachchh district of Gujarat there is one village by name of Tera in abdasa taluka. It is about 85 k.m. away from bhuj. In that village there is a temple of goddess Modheswari. 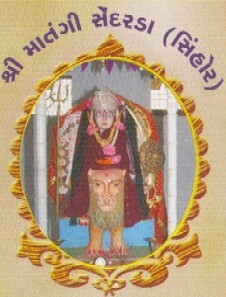 In Sixteenth century Shree Kalyarnji Gordhan Bhatt came to Tera from bhuj. He waw carrying idol of Goddess Modheswari. He placed the idol in the house of Shri Hiralal Sundarji Tripathi at present the family is know as Khombhadiwala. In tera there is also a temple of sati of Hariyani and Kankani Bhatt. 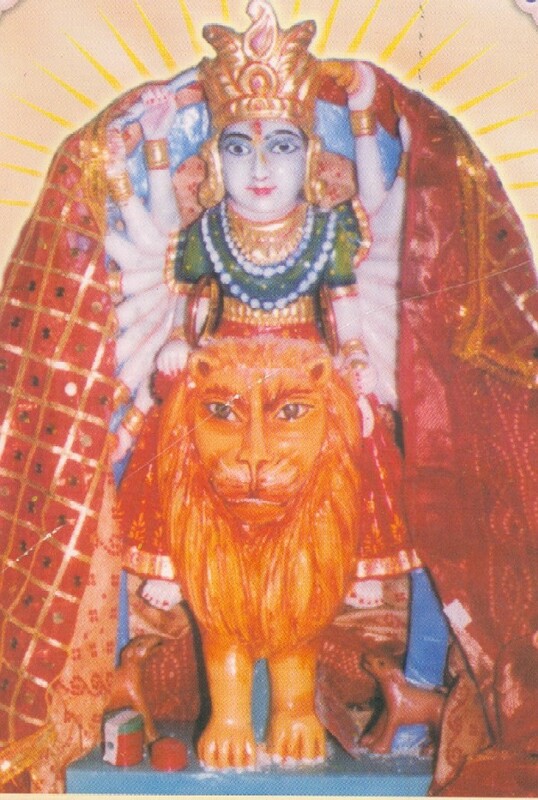 Later Shri Rameshchandra Pranshankar Tripathi of Naliya approached the people of Tera to build the temple of Modheswari Goddess. The land lords of that land donated their land for the temple. They are the families of widow Shantaben Harilal Suderji Tripathi, Iswarlal Jatashankar Joshi and Bhavanishankar Kunwarji Tripathi even their children gave up their right of the land. There after the construction of the temple. The first stone was laid by Rameshchandra Pranshankar Tripathi of Naliya on 11-10-1997 and the temple construction was completed on 29-1-1999 Friday according to the savant-2055, tithi is maha sud thirteenth day. Every year this day is celebrated by the people. The credit goes to Shri Rameshchandra Tripathi and their families of Naliya for the reconstruction of the temple of Modheswari Goddess. Because of his hand lab our the reconstruction was possible. The construction of a hostel built by Shree Barabavan Modh Brahmins Trust at sola was about to completed. Widow Kamalaben Bhanuprasad Trivedi came from America and visited the hotel. She proposed to build a temple of Modheswari. 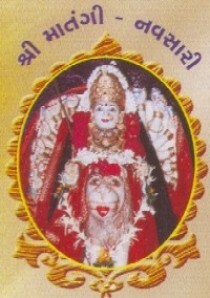 There with the help of Shree Kantibhai M. Jani. She approached Talati Mahendrabhai and acquired 100 yard land and decide to build there temple of Modheswari and Shashambica. 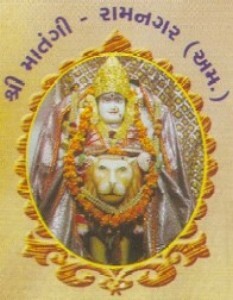 The first stone was laid by Shree Ashwin Trivedi. 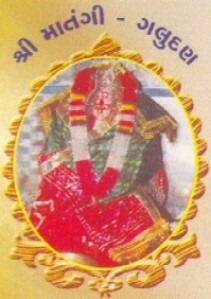 The construction of temple was strongly supported by Shree Ashwinbhai Pandya from Bombay. Chandrakant Jani(Alluva), Deepak Vinodchandra, Ashwin Trivedi, Chhotubhai Joytaram Trivedi, Chandrakantbhai Mulshankar Jani (Triyod) and other representatives of the trust also took deep interest in the development of temple. They constructed rooms for some cultural activities in temple. The construction of the temple was completed on 31st October 1999. 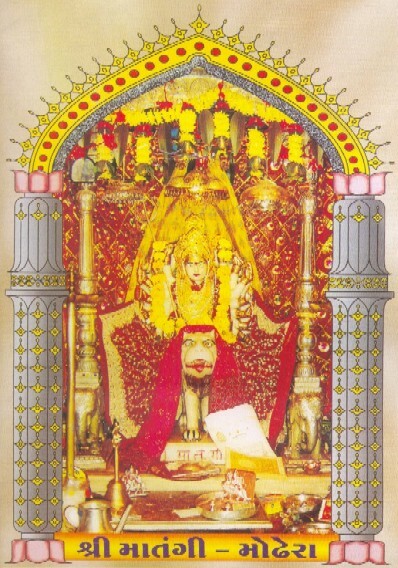 The temple of Modheswari Goddess is near gaytrinagar, gotri, baroda in Gujarat. First here built small "Deri" and put inside The Goddess Modheswari's photo in this "Deri". The construction of the temple was started in 2001. The construction of this temple was strongly supported by Mr.Rameshbhai B. Shah and his wife Mrs.Kokilaben and other friends took interest in the devlopment of temple. The statues of Modheswari Goddess, the Kalika Goddess and the Amba Goddess are in this temple, so it knows "Trimuri Dham". The Lord of Shiva also established in this temple. 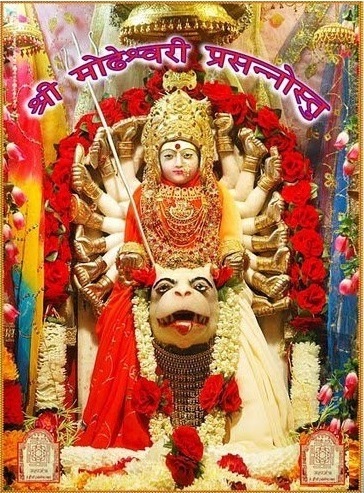 Navchandi Yagya, Lagurudra, Abhishek, Navchandi in Maha sud Atham, Anakut in Dev-Diwali and many other festivals celebrated in this temple and Satyanarayan's Katha celebrates in every Punam. 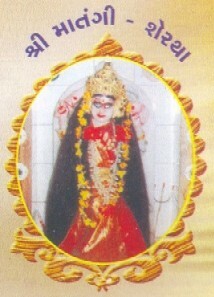 The Goddess Modheswari's temple is in Kapadvanj city, District-Kheda, State-Gujarat. About 100 years ago brahmin people found the statue of Goddess in the well "32 kotha vav" in Kapadvanj city. They called Goddess Modheswari. 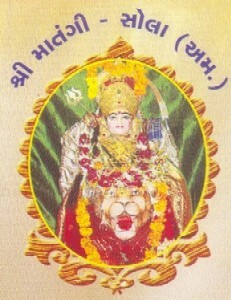 First time Goddess Modheswari established by president Late.Shri sir ravbahadur Vallabharam Trivedi under the pipal tree. Then people made wall and roof. That time face of Goddess was in the north side. Then Mr.Dharmadhikari Anupam Sadasivaram Sastri, Shardapith gave guidance and instruction and Goddess established in the east side in 1957-58. Then Mr.Suresh Chandulal Trivedi and his brother Mr.Thakurbhai were donated Rs.25,111/- and started new temple of Goddess. After then Narendrabhai, Indubhai Trivedi, Yogeshbhai, Manishbhai, Bhadreshbhai, Amrishbhai, Sanjaybhai, Amitbhai, Jasubhai Soni etc, were hard working for built the temple. The new temple started on Dt.24/5/1998 and within one year they completed this temple. The people celebrated three days programmed on Dt.3-4-5/5/1999. The people celebrated anniversary of Goddess every year in this temple. 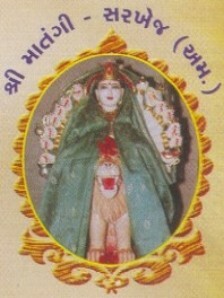 The trust of this temple is The Modh Brahmin Gyati Panch, Ravbahadur Vallabharam Trivedi Road, Opp.Patelvada, Kapadvanj. Many years ago when modh vanik departure from Modhera that time two brothers Mr.Ran and Mr.Bhan took a coconut whose symbol of Goddess Modheswari, they called it Goddess Mitheswari, first they were came Kalavad and then came in Anjar-Kachchh. 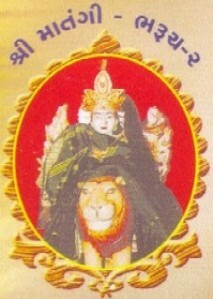 After many time ago Mr.Bhomji Bhagwanji took this symbol of Goddess Modheswari. In their community's rules that younger brother of family put this Goddess with them. 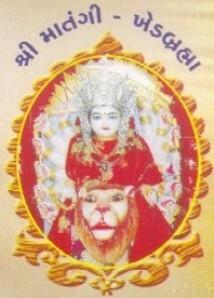 So Mr.Bhomjibhai's younger son is Chapsibhai took Goddess in his home at Mandalia Street, Bhuj-Kachchh. After then Mr.Muljibhai, then Mr.Bhagwanlal, then Mr.Rasiklal put Goddess in their home. After then Vasantben Bhagwanlal Mehta and Chanduben Sundarlal Mehta were donated their land for temple of Goddess in Mandalia Street, Bhuj. This temple was damaged in Earthquake at 2001. 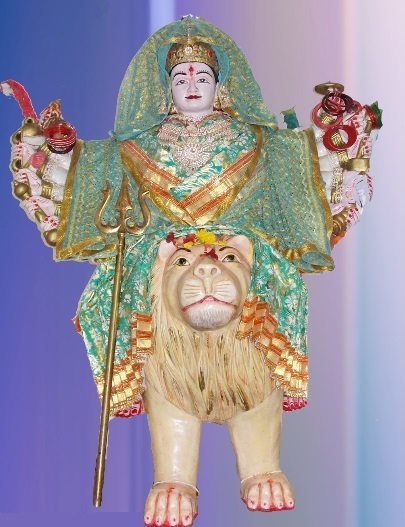 In 2005 Mr.Hareshbhai Ratilal Mehta, Gandhidham-Kachchh was donated land and some funds for built a new temple in Mandalia street, Bhuj. This temple has been completed in 2006 and Goddess Modheswari (Mitheswari) established in this temple on Bhadarva Sud Trij, Dt.26-8-2006 with celebration. 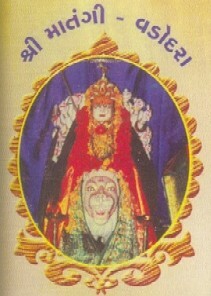 This temple's name is Shri Bhuj Mandalia Gyati Ranbhan Parivar's Kuldevi Mataji's temple. 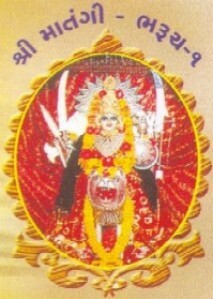 Every vijyadasmi and Kali chaudas Modh Mandalia celebrated of Nives for Goddess. They cooked Lapsi of wheat, Kachi Khichadi and tal-gol on this day. Only ladies have permission to enter in this temple and touch the Goddess and only ladies cook nived too. 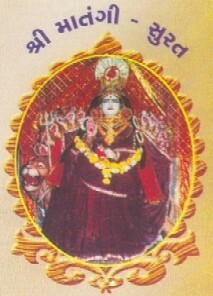 Shri Modheswari Ma's Temple - Jhambhua-M.P. 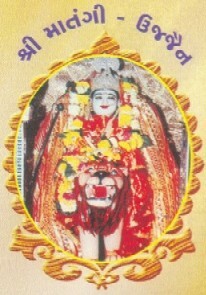 Temple of Modheswari Ma is in Jhambua-M.P.State. The temple far from Indore(M.P.) 150 K.M., & from Dahod(Gujarat) 75 K.M. Ranapur, Thandala, Jobat, Meghnagar etc village near the Jhambua. Temple of Modheswari is far from the Meghnagar 15 K.M. Railway Station Facility available in Meghnagar. People can reach temple from Meghnagar Railway Station by Bus, Jeep etc. 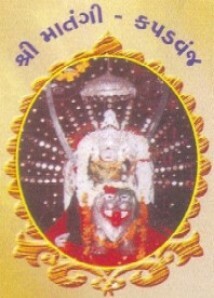 The temple is in center of Jhambua city whose on Ahmedabad-Indore Highway road. 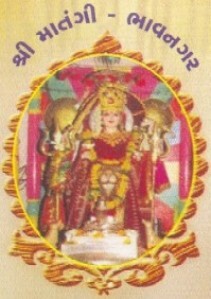 The temple built on February-2011 & established Modheswari Ma's statue & celebration with Modheswari Ma's anniversary.